The summer of 2018 was one of the hottest in recorded history, an extreme that also applied to the stock markets. In the month of August alone, Wall Street set a new record for the longest bull market in history, and Apple became the world’s first trillion-dollar company [FIG 1]. Amazon followed suit a month later, with its founder Jeff Bezos now worth more than Bill Gates and Warren Buffet – put together. Welcome to an age of economic expansion with corporate valuations beyond imagination. Although temperatures and markets cooled down considerably since their August peaks, the valuation of both companies is almost impossible for the human mind to grasp. Replacing dollars with meters, Amazon’s valuation would be the equivalent of traveling from the earth to the sun and back – three times. Is the arrival of the mega-corporation a testament to the power of ingenuity? Or does it primarily reflect the ingenuity of power – the ability to exert control and extract rents from the environment in which it operates? The rise of the mega-corporation is part of a major trend towards concentration and consolidation. According to a new study of more than 70,000 firms across 134 countries, average markups – selling prices divided by production costs – rose from 1.1 in 1980 to 1.6 in 2016, indicating that market power across sectors has increased [FIG 2]. Big organizations are part of modern economies and always have been. Ever since the First Industrial Revolution, the “visible hand” of powerful managers is shaping economic activities at least as much as the “invisible hand” of the market. Between the late nineteenth century and the early twentieth, no fewer than 1800 companies disappeared in the United States in a first wave of consolidation, after which just seventy-eight corporations controlled more than half of production. Today half of all the profits generated by public firms in the United States are concentrated in thirty huge firms. The economics of concentration are straightforward. Producing goods or services at scale decreases unit costs or even boosts the value of the good itself, if network effects apply (a product or service gains more value as more people use it). Also, moving transactions from the market into the firm, for instance by acquiring a supplier, lowers costs and fosters a less restricted flow of knowledge. Two important factors determine if an organization benefits from scale effects. The first is productive capabilities: the early industrial age boosted productivity through mechanization and the breakdown of manufacturing into simple tasks. Later periods added the combustion engine, electricity, and powerful communication technologies. Yet, with greater capabilities came more complexity, too. Thus, the second condition for scale economies to materialize is institutional architectures. Greater capabilities require matching forms of organization to direct and control information flows and enforce agreements. Productive capabilities and institutional architectures need to co-evolve for scale effects not to be consumed by growing complexity. An eighteenth-century farm ran on less information than a nineteenth-century factory. That factory, in turn, ran on much less information than a late twentieth-century global supply chain, which again runs on much less information than a ride-hailing platform like Uber, which barely owns any physical assets and consists almost entirely of information. Mounting complexity explains why times of economic expansion have always been times of economic concentration too. Open borders not only allow more companies to compete and collaborate, they also promise that scale effects will be reaped on a planetary level. This is what has happened with the last period of economic expansion which started in the early 1990s. 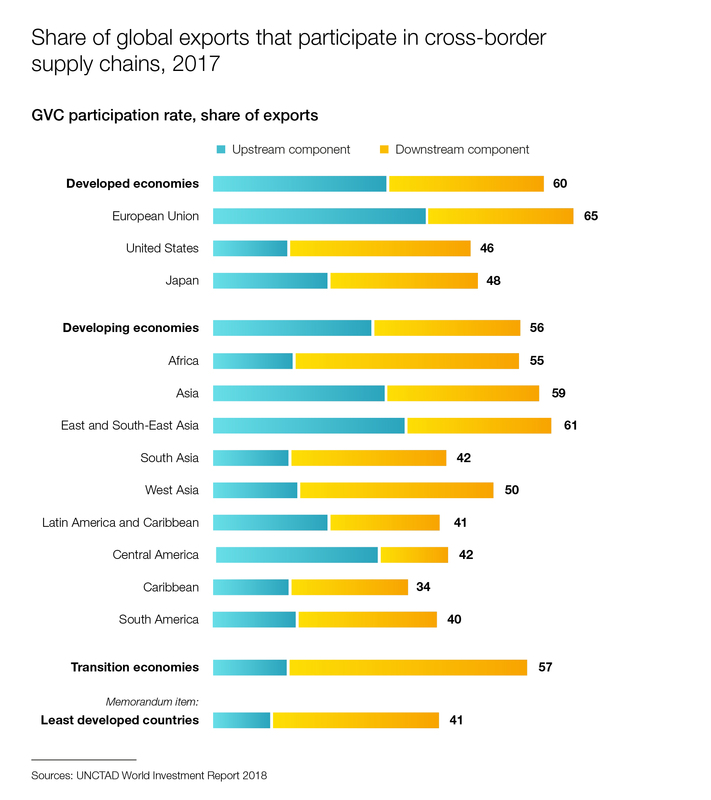 Almost sixty percent of today’s manufactured exports are unfinished goods moving around in global supply chains, giant institutional architectures that form planetary-scale manufacturing systems [FIG 3]. If scale effects are the key to human progress, scalures – failed attempts at exploiting scale effects – are at the heart of crisis and collapse. Scaled-up systems process physical and digital raw materials more efficiently, but also consume a lot of resources to feed the bones and muscles that glue them together – their institutional architecture. For a system to scale successfully, growing its productive capabilities is necessary but not enough. As a system expands it needs to evolve its institutional architecture, too, so that it does not collapse under its own weight. Four factors determine if an organization is able to reap scale effects without cracking under pressure: it needs to (1) evolve the principles upon which it expands; it needs to (2) fix the fractures that emerge from its structures being stretched; it needs to (3) rewire the connections between all of its parts; and, it must (4) strengthen its safeguards to protect it from falling hostage to its own control and command structures. For scale to create value, resources must flow into the system, not simply pass through. The more a business or an economy expands, the more resources are needed for maintaining and repairing it – until a point is reached when all resources are consumed by maintenance. When an economy is growing, or a company makes a profit, we interpret that as a signal that this point has not yet arrived or been delayed thanks to technological innovation. As long as there is growth, our expectation is that there is more to invest and that more scale effects are waiting to be realized. Yet there is no guarantee that this will happen. Those who lead a business or an economy may find it easier to manipulate the growth signal rather than expand the system’s actual capabilities. An example of this is companies buying their own shares. Buybacks improve valuations without making the company more productive. But there is an even more fundamental concern. The very concept of scale rests upon the idea that production is the central problem of economies. If an innovation contributes to higher production, it is good; if it fails to do so, it is not; if it damages production, it is bad. However, as an economy becomes more affluent, should production as a rationale for scale continue to be an overriding consideration? If scarcity is no more the question, why should scale still be the answer? For instance, when a society becomes more affluent, why should it be asked to consume goods that were made in ways that its citizens find unacceptable? With public concerns around health and the environment rising around the world, many consumer companies had to transform the principles upon which they expanded their businesses. For instance, in her years as Pepsi CEO, Indra Nooyi decided to steer the consumer giant towards healthier products. Pepsi soda now accounts for less than one-fifth of the company’s product mix. Similarly, Unilever CEO Paul Polman integrated sustainable practices deep into his business, with the firm’s ‘Sustainable Living’ brands now accounting for a record 70% of its turnover growth in 2017. Philips CEO Frans van Houten is not only a pioneer of the circular economy movement, but put the 126-year-old Dutch firm on track to generate 15% of revenues from so-called circular solutions by 2020. As economies and enterprises expand, they must constantly evolve the definition of what they value. If they fail to do so, they run the risk of scaling the wrong parameters for the wrong reason, eventually jeopardizing the very foundations of their success. The second point is that without maintenance there is no growth. Crumbling infrastructures in many advanced economies are a stark testament to the neglect of this insight. The scant appreciation and low pay for people in maintenance professions, from road workers to care workers, is yet another. The broad neglect of maintenance is the flipside of an economic paradigm that places a high premium on disruption. The determination to disrupt in pursuit of innovation transcends all political camps – and ignores that most value creation in society is about conservation: the work going into maintenance and repair. The problems this creates are potentially more disruptive than disruption itself: first, the neglect of maintenance disregards the significance of the work that goes into keeping the world going and the share of the workforce it occupies. Second, generating surpluses from underinvestment in maintenance creates the illusion of value creation when in fact it is the exact opposite: value extraction; and third, the neglect of maintenance fails to recognize that diverting funds towards disruption will only create value if the first factor above applies. What’s more, our obsession with the new and shiny over the old and rusty makes us forget that innovations not only create additional maintenance costs but sometimes also expose us to utterly new maintenance challenges. When Facebook launched, no-one imagined that one day hordes of content moderators, often in low-wage economies, would screen millions of pictures and videos for inappropriate content. Without maintenance, greater wealth inevitably means more debris to clear up. Everything, without exception, needs energy to maintain itself. This is no less true for an increasingly digitized and dematerialized economy. Links break, app performance deteriorates with use, software code corrodes. We portray progress as a sequence of discrete disruptions or revolutions when in fact the more adequate picture is an endless series of upgrades. Today’s problems are yesterday’s solutions, and our new solutions are almost certainly the troubles of tomorrow. Unless economies and enterprises repair the fractures in the foundations upon which they expand, scale will be futile. Without maintenance, scale simply makes us frail. The third point is that scale might make us better off but does not make us more stable. In biological terms, humans have always been inferior to other large animals. That is why we associate being part of a large community with safety and stability. We are not just longing for scale to improve our means of existence, but to feel protected as part of a larger entity like a city, a big employer or a welfare state. This desire is so dominant that we easily ignore the risks of forming part of something bigger: cells in a big animal live longer but when it dies, it means a quick death for many cells. One destabilizing risk of big organizations is the cascading of failure. Scaled-up systems tend to be more complex and less forgiving. In an expanding web of connections small changes sometimes have large and unexpected effects. Cascading failure is set in motion by human error or by malicious intent: statistically, two in three businesses per year are subject to cyberattacks that exploit the complexity of large computer systems. The cascading of such failures can only be contained if the organization sacrifices some scale effects by decoupling parts of the system and building in slack. But cascading failures are not merely the result of unmanageable complexity; they also are the consequence of mismanaged complexity which typically results from the linear scaling of control structures in systems that are growing exponentially. In any group of small businesses, the rate of corporate mortality is higher than among larger ones. For a small business owner this is undesirable, but from a system perspective more micro-volatility means more macro-stability: restaurants move in and out of business all the time but there is always a place to eat. If all of them were to move under a single ownership structure, this equation would risk being inverted: micro-volatility subsides (e.g. opening a Starbucks franchise is less risky than opening one’s own shop) but macro-volatility grows (a misstep in one branch potentially affects all other Starbucks branches). In other words, large systems are at risk of replacing micro-fragility with macro-fragility. They fail less often but when they fail, consequences are significant. Therefore, the larger an organization gets, the more vital it is for its parts to move more independently. Institutional architectures that fail to trade some scale effects against greater micro-volatility look peaceful and calm from the outside, while disasters simmer under the lid. The first type of scalure – the cascading variety – is unpredictable. It calls for safety valves and enough slack to bounce back after disaster strikes. The second – institutional inertia – is unpredictable but controllable. The remedy is better upward mobility of information. Yet there is a third type: easy-to-predict, high-impact threats that are nevertheless greeted by inaction because of ignorance and denial. Denial is deeply embedded in human nature. It is the first phase of a typical response to a threat, allowing us to deal with a shock without shutting down. However, the mechanisms which protect us from overload also are the ones that trick us into unconscious biases and wishful thinking. The consequence can be catastrophic for the individual – and multiple times more if the individual leads a large organization. According to a 2009 article in the journal Brain, there is an intricate connection between denial and the power that comes with leading a large organization. The “hubris syndrome”, defined as “disorder of the possession of power” systematically resulted according to the authors in catastrophic flaws such as “the loss of contact with reality, restless or reckless actions, and displays of incompetence”. Scale not only puts pressure on institutional architectures but on cognitive and emotional “architectures”, too. Failures from scaled-up egos perhaps represent the most tragic – and possibly the most dangerous – form of scalure. The lesson is like that from the first and second type of scalure: seeking stability by tightening control is a poor choice. In expanding systems, seeking stability means rewiring – and oftentimes loosening – the connections between all its parts. Lastly, scalures happen when those at the commanding heights of an organization prioritize their self-interest over the interests of others inside or outside the organization. Thirty years ago, the influential economist William Baumol warned that one day the most successful businesses might be those that use power and influence to make profits without advancing society. “Unproductive entrepreneurs” would swallow rivals or use regulations to stifle competition. Today, more and more economists are putting forward similar concerns, pointing out that concentration has changed corporate behaviour for the worse. Powerful corporations now see wielding political influence through donations or lobbying as a central means of securing competitive edge. Large entities require powerful systems of control which, when unchecked, could decay into systems of exploitation. The perceived failure of corporate hierarchies to prioritize value creation over value extraction, and of policy-makers to protect economies from inequality and uncertainty, triggered disruptive architectural innovations which hold the promise of scale without careless or exploitative hierarchies. The most prominent is Blockchain. Instead of generating trust by equipping a third-party institution with the power to sanction misbehaviour, Blockchain technologies record each transaction and fuse it through a tamper-proof algorithm into “blocks” of information chained to one another. Platforms like Ethereum take the idea of “building trust without hierarchy” one step further by inserting not only information into the Blockchain but also concrete actions that self-execute under certain conditions. But technology itself is not exempt from scalure. 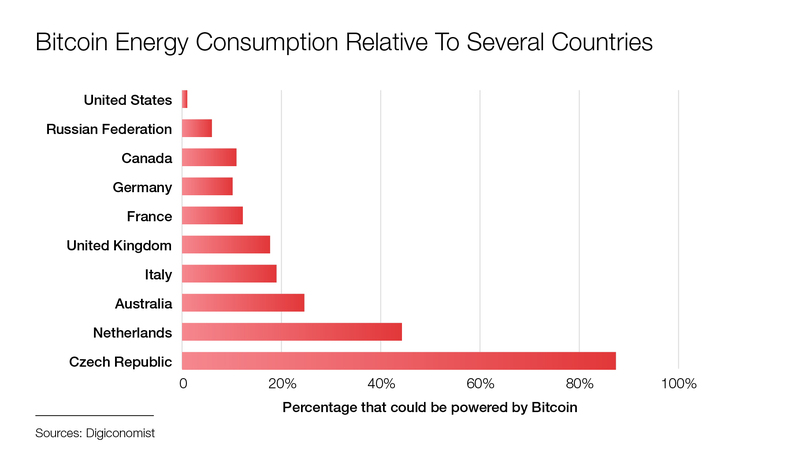 Among the many challenges Blockchain faces is the vast energy consumption of the “mining” process (the fusion of data into blocks) and uncontrollable levels of complexity that already caused losses amounting to millions through hacks or bugs or both [FIG 4]. Maintenance is a challenge, too: if something goes wrong, who decides on how to fix it – especially if the fix creates winners and losers? And, in the alleged absence of hierarchy, what checks and balances watch over the “automated” systems of checks and balances? Do we trust those who review the Blockchain algorithms more than we trust CEOs and politicians? Another technology which could transform institutional architectures is machine learning. The more complex a system becomes, the more difficult it gets to predict what happens when parts of it interact. However, if sufficient data can be collected, machines are more capable at seeing patterns than we are. In helping us to understand the consequences of our actions better, sophisticated algorithms could lead to smarter choices. However, machine learning is neither easy nor infallible. First, there is a resource challenge. Reproducing the computing power of a single human brain is estimated still to require about the entire energy created by China’s Three Gorges Dam, the world’s largest power station. Second, intricate issues arise from the data and decisions that shape the algorithms, such as the choice of the training data sets or the values that inform the machine decisions: should machine-generated predictions of crime be used to deploy more police forces or build more schools? Should predictions of domestic abuse be used to punish perpetrators or channel resources to families at risk? For all these dilemmas, the idea of automating away the problem of institutional capture is illusionary. And yet, it will be impossible to avoid scalure in an age of expansion without new ways of controlling those who control the ever growing systems we are forming part of – be they humans or machines. Artificial intelligence and Blockchain technologies are poised to become part and parcel of new institutional architectures, not in order to replace our responsibility to hold our leaders accountable, but to strengthen the foundations upon which we exercise this responsibility: namely, reliable information. 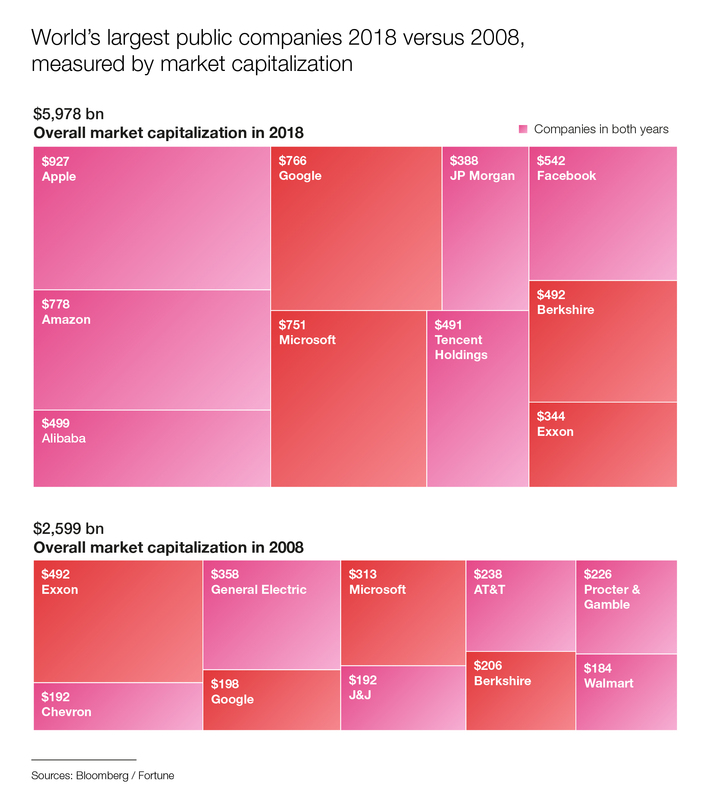 Over the past ten years, the number of technology start-ups valued at one billion or more has grown from less than ten to more than 250 [FIG 5]. Most of these rising stars are based in the world’s two largest economies, the United States and China. Despite growing regulatory pressures in both countries and an era of cheap money slowly being phased out, there are few signs of the technology bonanza coming to an end. On the contrary, at a time of rising geo-technological competition, a large technology industry is likely to be seen as a power-wielding asset, not as a liability. Geographical concentration in large metropolitan areas has also continued. 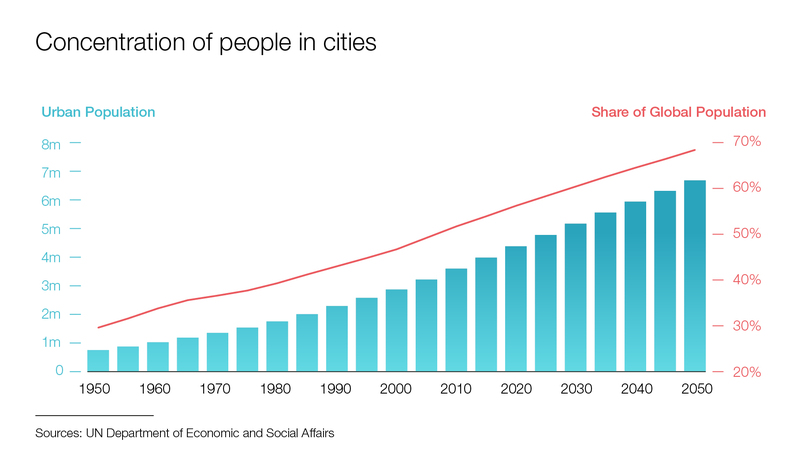 According to a recent UN report, 2.5 billion additional people will be living in cities by 2050. The number of megacities with ten million inhabitants or more is also predicted to increase, from 31 today to 43 by 2030 [FIG 6]. Catering to the needs of growing urban populations is the principal scaling challenge that the world will be facing in the coming decades. This all suggests that peak scale is not in sight. And yet, we have reached a point where associating scale with progress has become much harder to do. The spectre of scalure is looming large over the hard-earned yet unequally distributed benefits of bigness. 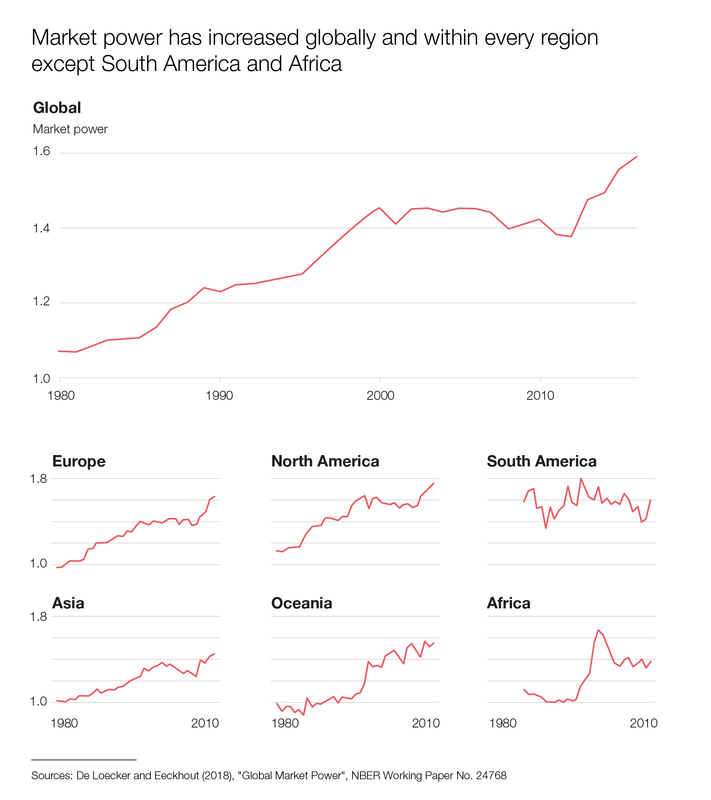 This has major implications for how populations perceive the benefits of globalization, the acceleration of technological change and the legitimacy of large organizations, be they corporations or governments. The question is not “to scale or not to scale”. It is how to avert catastrophic scalures in an era of expansion; it is how to distinguish good and bad bigness; it is how to apply scale to power our ingenuity, not to hold power for its own sake. As the world enters another era of economic expansion, referred to by the World Economic Forum as “Globalization 4.0”, business leaders and policy-makers should pay attention to the four conditions highlighted above. For scale to advance progress, we must strengthen the principles upon which we expand. We need to evolve our shared definition of value, recognize maintenance as a genuine act of value creation, and resist the reflex to tighten our grip when things get more complex; most importantly, as we cede our destiny into the hands of systems that are larger than us, we must rigorously and tirelessly hold leaders to account. De Loecker and Eeckhout, 2018. Global Market Power. NBER Working Paper No. 24768. Nelson, 1959. Merger Movements in American Industry, 1895-1956. Princeton University Press. Kahle and Stulz, 2017. Is the US Public Corporation in Trouble?. Journal of Economic Perspectives—Volume 31, Number 3—Summer 2017—Pages 67–88. William Baumol, 1990. Entrepreneurship: Productive, Unproductive, and Destructive. Journal of Political Economy, 1990, vol. 98, issue 5, 893-921. Stern, 2017. 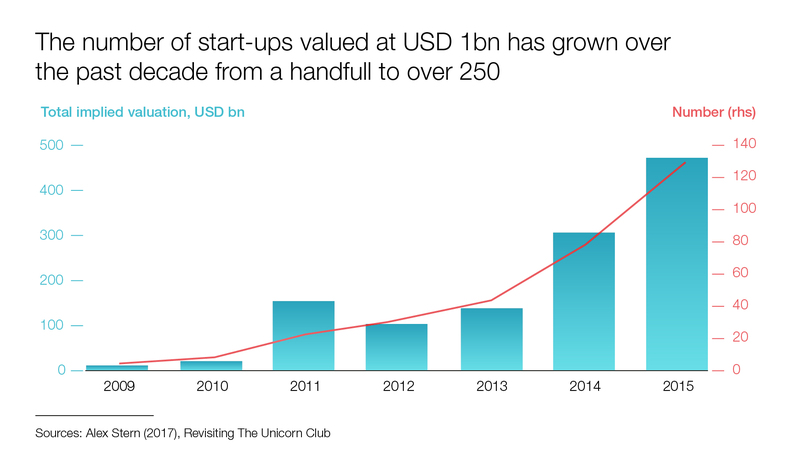 Revisiting The Unicorn Club.